Coming into winter, the mornings here are getting brisk and fresh to say the least. We don't have air con at the moment which is sort of refreshing as we all rug up in slippers and dressing gowns and often indulge in porridge (which I keep low in sugar so it is a winter "weight management" dish too lol). I found a savoury breakfast that I just love. Homemade baked beans. YUMMM!!! I let it simmer on the stove and then also decided to spoon some into a ramekin and crack an egg on top and throw it in the oven. Right before it was ready, I sprinkled parmesan on it and put the grill on to make it crispy...OH MY!!!! I often find myself making things without a recipe and using taste tests to guide the ingredients, so here is my best guess at the recipe (there are also many available on net too). This would be enough for breakky for several adults, so feel free to halve it if necessary. 1. Put in an 800g tin tomatoes, 2 garlic cloves, 1 onion (or handful of frozen onions if you want to avoid tears) in saucepan. 2. Add 3 tins of white beans, i used butter beans and canelini beans. 4. I added a sprinkle of smokey paprika, tumeric, salt and lots of pepper. 5. Simmer on low heat for about 10-20 mins (longer will make it richer). 3. Spoon into ramekin and crack egg on top. 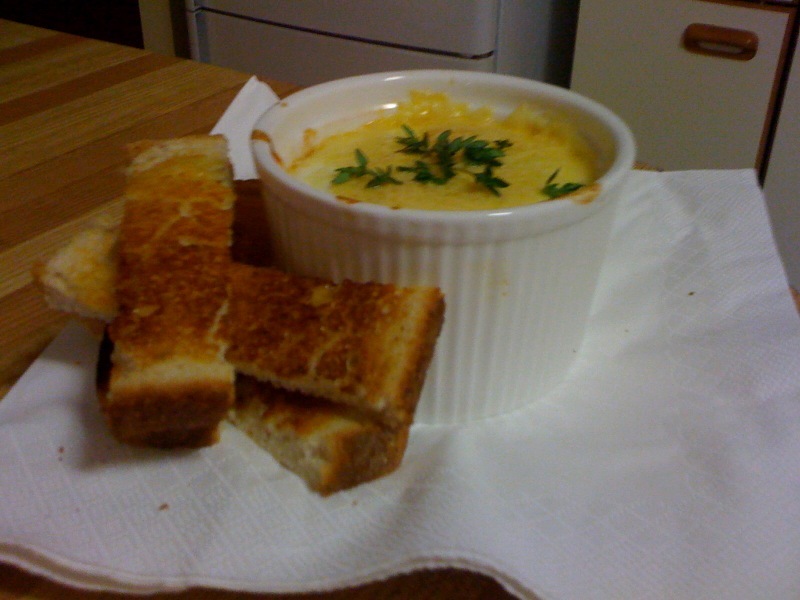 Once egg is cooked, place some parmesan or gruyere cheese and top with a fresh sprig of thyme and serve with soldier toast on side.